In the run in to the weekend, the forecast was looking very light and we were all worried about whether we’d get a series in. Of course, with PRO John Leech and his in-depth local knowledge, it was never in doubt. 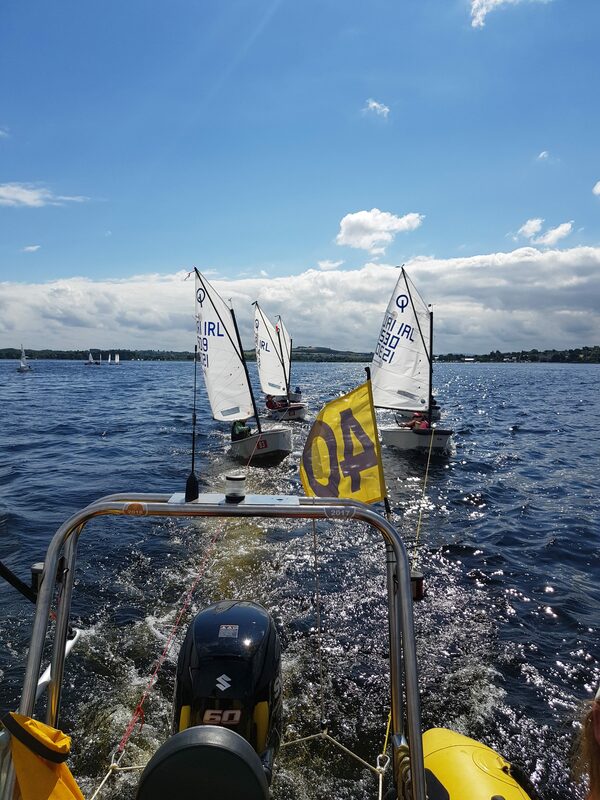 He secured 5 Junior and 4 Senior fleet races and delivered great racing, to match the welcome ashore from LDYC. The Regatta Fleet was small overall, and we had only two sailors in attendance. Lucy Moynan had great fun with 9 races and best U9 girl and Sammi Flannery made his debut too on the Sunday. 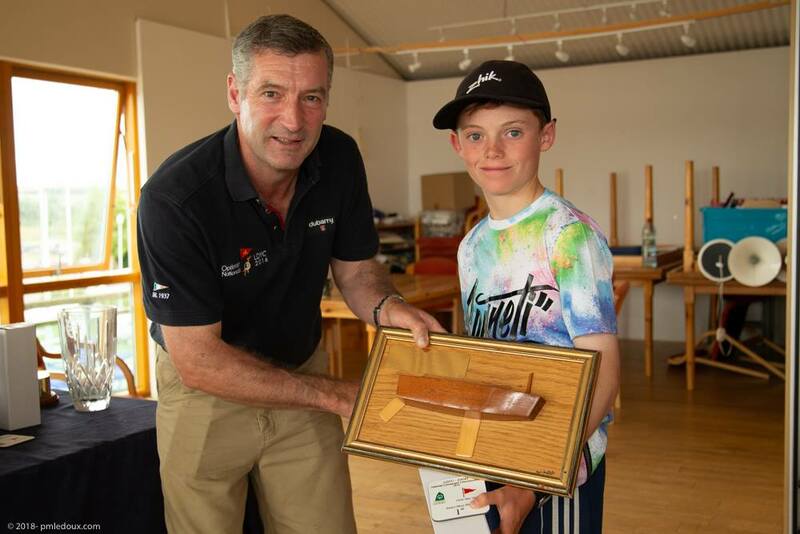 In Junior Fleet, the series went right to the wire, with Ben O’Shaughnessy coming second by just 1 point despite 2 race wins and no score lower than 4th. Emmet Lucas was a strong 3rd, also counting a bullet in R1 of the event, which was enough for him to break the tie with George Pritchard. Alana Twomey was 6th and JP Curtin in 9th and Silver winner in his first main fleet circuit event. 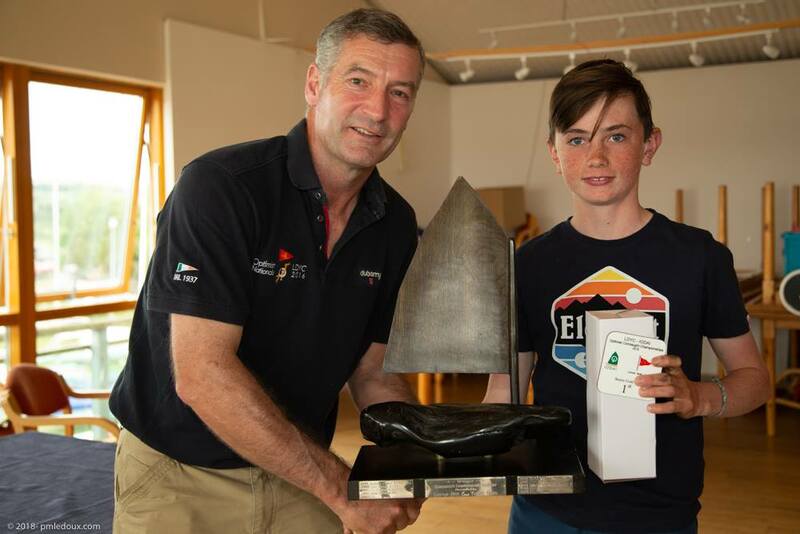 This meant Royal Cork sailors filled 3 of the top 5 and 5 of the top 10 positions – well done all. Rian Collins finished 13th, with Harry Moynan 18th and 4th Silver Fleet. Oisín Pierse was only 3 points behind in 21st, another great showing in his first circuit event. Ellen Bruen (30th) sneaked past Charlie Venner (31st) by just 2 points, both counting a top 20 score. David McSweeney in 38th and Shane Collins in 41st closed out our Junior Fleet. The Senior Fleet title went to James Dwyer Matthews, sailing very consistently across the two days. Justin Lucas was 5th, Harry Twomey 8th and Michael Crosbie in 10th meaning all our Worlds Squad sailors finished in the top 10. Richard McSweeeney showed he can perform in light airs as well as heavy with a strong 13th place finish. 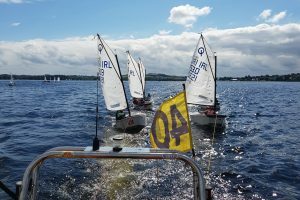 James Murphy counting an 11th in R1 to finish 20th led out a train of 5 Royal Cork sailors; Eoin Horgan in 21st with a super 3rd place in R1, Patrick Bruen in 22nd and Jamie Venner in 24th. Liam Duggan finished 36th and 3rd Silver, and Simon Pritchard unfortunately was DNC due to illness. Thanks to everyone who helped out afloat and ashore with coaching and transport, and we’ll see you all back at the club for League Racing on Tuesday 24th July.